Tyfoon All-season tyres (also known as 4-season tyre or all-weather) are a thoughtful mix between summer and winter tyres. The rubber of all-season tyres is harder than that of a winter tyre but once again softer than that of the summer tyre. 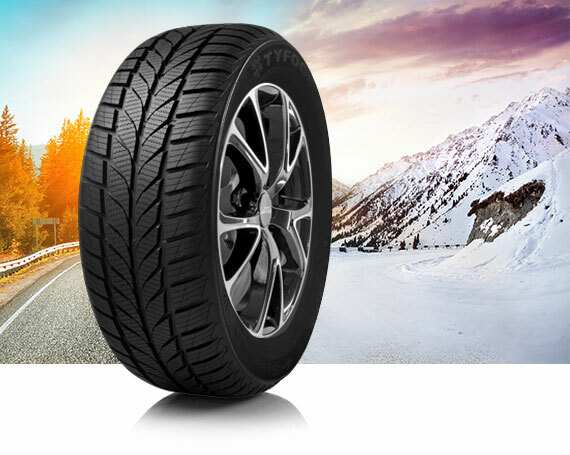 Because of the special rubber compound and profile all-season tyres perform excellent in summer and winter. The stopping distance of an all-season tyre in winter is shorter than that of a summer tyre. In the Netherlands, with usually mild winters an all-season tyre is a decent alternative for the winter tyre but, however, an all-season tyre is not a full replacement for the winter tyre. 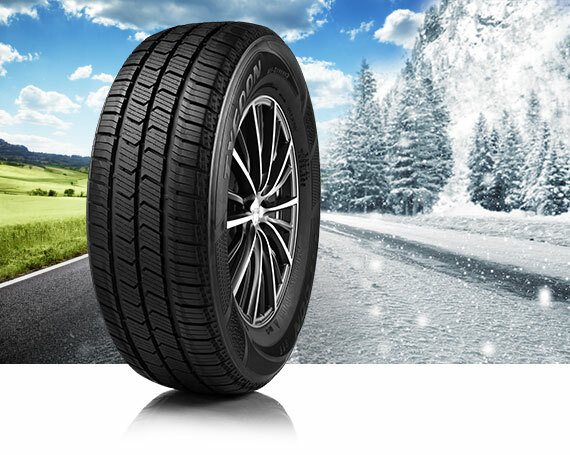 Winter tyres have unique characteristics for maximum performance in winter conditions. 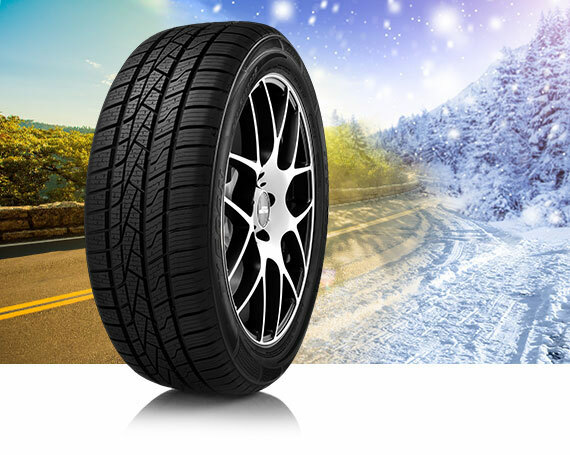 The All-season tyre is a combination of summer and winter, and therefore a combination of specific properties. The level of performance is always a compromise between the essential summer or winter tyre properties. In Germany, and many other European countries, all-season tyres that have an M + S symbol (possibly in combination with the snowflake symbol) are also permitted in the winter. The minimum tread depth in winter is 4 mm. Tyfoon is a product created by Inter-Sprint Banden BV, Europe's largest import and export company for tyres. If you are interested in including the Tyfoon brand in your assortment, please contact us.